The Apple Store-and a whole lot more! 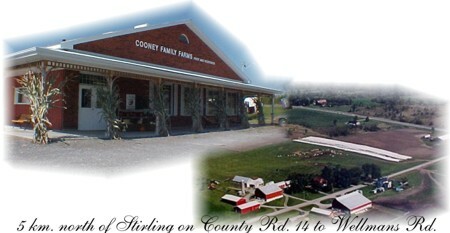 Cooney FarmsRecord Owner? Log in. 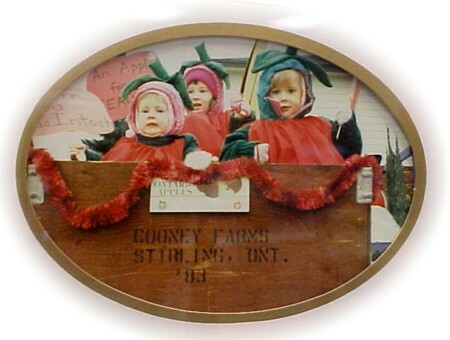 'The Apple Store' is brimming with a 'harvest' of country themed gifts to include such names as: Briar Patch, Country Affair, Danica, Danesco, Burt's Bees, Pheloynian Beeswax, Upper Canada Soap . . . and a whole lot more! 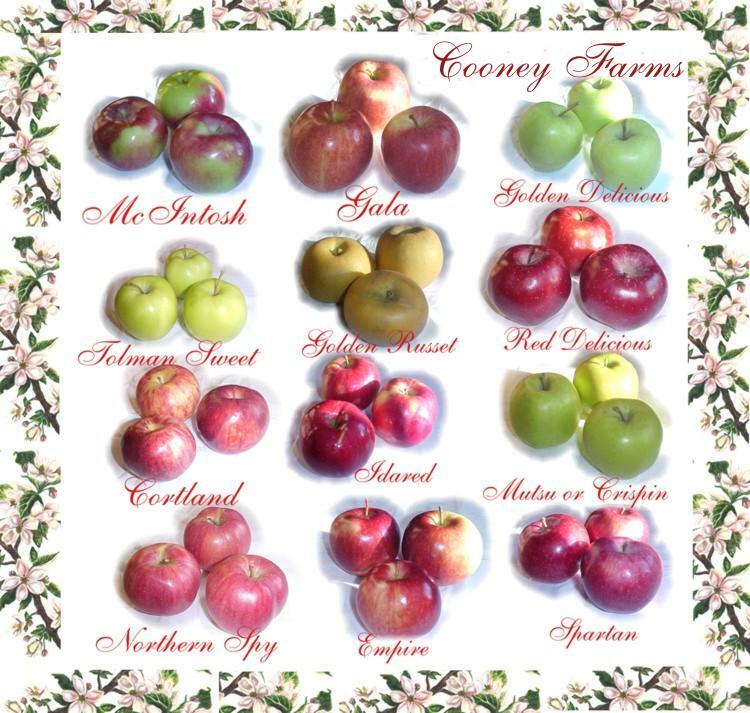 'The Apple Store' is brimming with a 'harvest' of apples which includes such varieties as: Jersey Mac, Paula Red, Idared, Royal Gala, Russet, Snows, Northern Spy, Cortland, Mutsu, Spartan, Empire, Red & Golden Delicious and of course McIntosh! The very unique and personalized Gift Baskets are made to order and many are ready to go. Cooney Farms own HomeGrown Beef! 100 % pure beef ready for the barb-b-que! Truly there is something for everyone at 'The Apple Store' and there is always . . . a whole lot more! 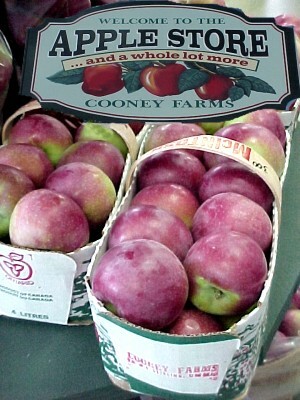 Like us on Facebook: www.facebook.com/cooneyfarms and be entered in our monthly draw! Thank you to everyone that made it out to our Thanksgiving BBQ. We hope that you had a great time with family and friends. A special welcome to 'The Boots and Bonnet Colour Tour' this coming weekend. 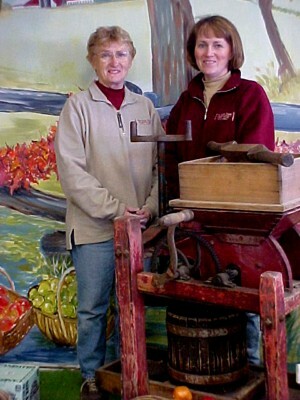 We are excited to be one of the stops on your outing to see all the beautiful fall leaves!!! 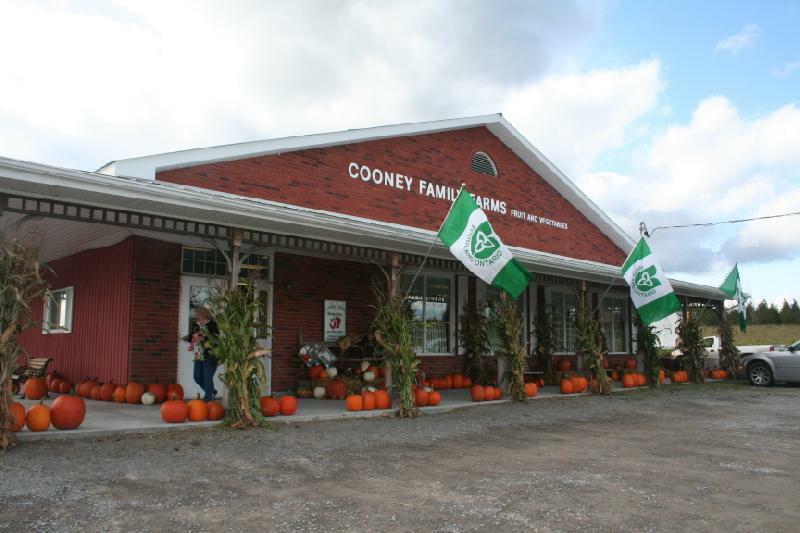 Bring your family and visit our Corn maze,Pumpkin Patch and have a Family Photo! Have something to say about The Apple Store-and a whole lot more! 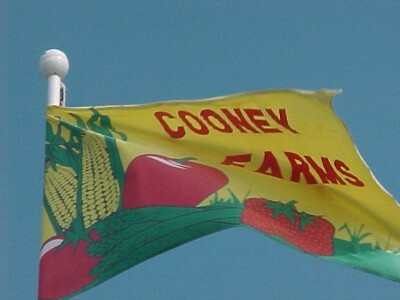 Cooney Farms?